Arushi Raina's potent debut novel, When Morning Comes, is a coming-of-age story set in apartheid-era South Africa. Told by four alternating first-person narrators - an angry revolutionary, an ambitious gangster, a son of extreme privilege, and a peaceful activist - it sets the narrators' personal stories against the backdrop of the Soweto Uprising of 1976. Zanele is skipping school and secretly plotting against the apartheid government. The police can't know. Her mother and sister can't know. Her best friend Thabo, schoolboy turned gang member, can tell she's up to something. But he has troubles of his own—a deal gone wrong and some powerful enemies. Across the bridge, in the wealthy white suburbs, Jack plans to spend his last days in Johannesburg burning miles on his beat-up Mustang—until he meets a girl with an unforgettable face from the simmering black township—Soweto. Working in her father's shop, Meena finds a packet of banned pamphlets. They lead to a mysterious black girl with a secret, a dangerous gangster with an expensive taste in clothes, and an engaging white boy who drives a battered red car. A series of chance meetings changes everything. A chain of events is set in motion—a failed plot, a murdered teacher, and a secret movement of students that has spread across the township. And the students will rise. When Morning Comes is a striking achievement. With four very distinct narrators who are often hostile to each other, it would be easy for the novel's structure to fracture or spin out of control. Instead, it coheres. Raina's handling of race and politics is both subtle and consistent. And her prose is by turns vivid and moving, striking and restrained - precisely the vehicle such a story demands. After finishing it, the novel haunted me for days. I'm so glad that Raina kindly agreed to answer some of my more persistent questions here. YSL: I really admire the way you tell the story through four interlocking narratives. Each voice is incredibly distinct, the characters are frequently at odds with each other, and yet the novel holds together – an impressive technical accomplishment! Why did you choose to structure it in this way? AR: I’m tempted to say that the book wrote itself that way—it’s a story about collisions, the personal, day to day collisions the characters have with eachother, against a backdrop of the larger collision of the Soweto Uprising of 1976. I needed to go to different parts of the city, to see things differently, to create the underlying tension in the story. But the truth is, I’ve been playing with different points of views for a while, I love how Zanele, Thabo, Jack and Meena all tell the story differently, and how the writer (me) and the reader has to come to terms with which, if any version they most relate to. YSL: You were born in South Africa, but long after the novel’s action takes place. What inspired you to write about your earliest homeland and what kind of research did you do to establish a sense of time and place? AR: For the longest time, I didn’t write about South Africa, partly because I didn’t feel I was able to, and partly because to write about home in North America made me feel like I was trying to pull some kind of exotic card out my bag of writer’s tricks. I was partly right about the first, wrong about the second. To write about something familiar from home may seem exotic to others, but may be the story you need to tell, which is less exotic to you, than, say writing about an epic slumber party in the heart of Jersey City (not that there is anything wrong with slumber parties or Jersey City). Like many, though, I finally felt inspired when was leaving Johannesburg to immigrate to Canada. And my doubts about being able to do the story justice, helped. I learned to tread carefully (but more on this later). It was a tipping point, in many ways, but immigration is not super convenient for research. At high school, we’d spent a number of years studying apartheid history, and the Soweto Uprising in particular. This was a starting point, and a good one—I’d been a teenager then and remembered the experience of reading about it in a textbook. But it needed to be real. And for me, to make history breathe is to make it fiction. After that, it was a lot of trawling through English and American libraries for the odd reference book on primary resources, and of course, the internet. And South Africans, too. 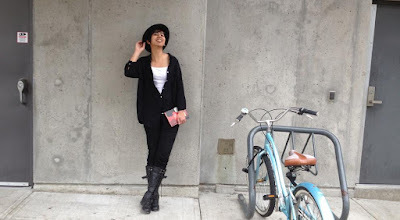 Arushi Raina, presently of Vancouver, B.C. YSL: Inhabiting the minds of two black characters living under apartheid is a bold step. How could you feel confident that you were doing them justice? And what do you make of Lionel Shriver’s recent provocations on the subject of cultural appropriation? AR: I think it is, and having grown up in Johannesburg, the complexities of the country and race relations are raw to me in a way that’s hard to describe. Being closer makes it harder to describe the context in large, defined brushstrokes. And the short answer to your question is no: I can never be fully confident that I’m doing them justice. I can only give my very best shot, I can tread carefully, questioning my assumptions at each step, pulling forward a universal humanity while not shying away from some of those differences. I can look at primary sources and read the words of the South African township youth (there are a number of speeches and records of letters available) - these words are sharper, more eloquent, than anything I could put to paper. I think the attempt to reach and respectfully tell stories in other voices, marginalized voices is important, as much as the openness to further discussion and debate on my attempt, and depiction is important. I don’t want to be defensive, I want to try my best because it is an important story rarely told, and I want to hear all people’s views, least not South African teens. I think Lionel Shriver is contributing a specific point of view to the discussion, and she’s put forward a number of rather out-there examples. Living in post-apartheid South Africa, interacting with First Nations groups in Canada has made me aware that where there is pain, there is a need to tread carefully. But this does not lessen our responsibility to empathize and try telling difficult stories, always empowering these communities to either be involved or discuss/question what we do as storytellers. That’s really where our learning begins, or at least I hope it does. YSL: Early in the novel, Thabo says, “it was stupid to put the one thing that mattered to you in a red dress for everyone to see”. And yet he does, repeatedly, because he doesn’t believe he has a choice. This is a powerful metaphor for a lot of things that happen in the novel. Is choice – or the lack thereof - largely an illusion for your characters? AR: That’s a tricky one. I’d like to think that the characters, including Thabo, come face-to- face with a narrowing pool of difficult choices. And their resilience is in their ability to make and come to grips with these choices. YSL: Each interracial relationship in the novel begins with antagonism, or at least guarded suspicion. This is logical enough and I imagine there’s a lot of historical evidence for interracial romances like Jack’s and Zanele’s. I’m curious about Zanele and Meena, too. How unusual was it to form platonic friendships across racial barriers? AR: Pretty unusual. Talking to South Africans who lived through that time, you only did so if you really stuck your neck out. Your entire life wasn’t designed for you to do so. In the rare cases they did, it was through anti-apartheid activism, which, to Meena’s credit, she does get embroiled in. YSL: Family bonds seem largely broken and/or ineffectual in your portrait of South African society. Jack’s parents value his academic achievements and whatever glory his bright future can reflect upon them; Zanele’s mother is trapped both by single parenthood and institutional racism; and Meena’s relationship with her father is dutiful but remote. This is surely not a coincidence! What connection do you see between a dehumanizing body politic and its subjects’ humanity? AR: You know, I never really noticed this until you pointed it out! The parents sort of wrote themselves that way, inflected of course, through the point of views of their children. As you’ve pointed out, in many ways the apartheid institution wears at the very core of the family—in Zanele’s case, her family has been split apart by labour and group area act laws, breaking open all the cracks that may have lain underneath a family that didn’t suffer the same injustice. In Meena’s, she has to come to terms with the strange triaging of color, where Indians were treated marginally better to black people. To take advantage of this slight preferential treatment is a recipe for survival, and Meena’s father has already surrendered to it. I also think that families can be a source of insulation from the threats of the wider world. In many cases, they were, in apartheid South Africa, from my friends’ parents’ accounts. For Meena, Zanele, Thabo and Jack to be who they end up being, they needed to have the insulation damaged, or ripped off. YSL: Could you leave us with a quotation (or two) that really encapsulates the flavour of When Morning Comes? YSL: Thank so much, Arushi. While it's a cliché to call a novel timely, that is precisely the case here. 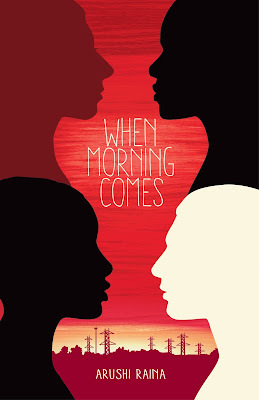 I hope When Morning Comes is very widely read, especially at a time such as this. This post is my (Ying's) last as a regular History Girl. Thank you to everyone who read and commented over the past two years! If you'd like to keep in touch, please consider signing up for my sporadic author newsletter. Arushi Raina grew up in Johannesburg, South Africa. So far, Arushi’s also lived in Egypt, Nigeria, India, the US, UK, and most recently, Canada. At Vassar College in New York, Arushi studied Economics and English, where she was able to put together the beginnings of When Morning Comes. 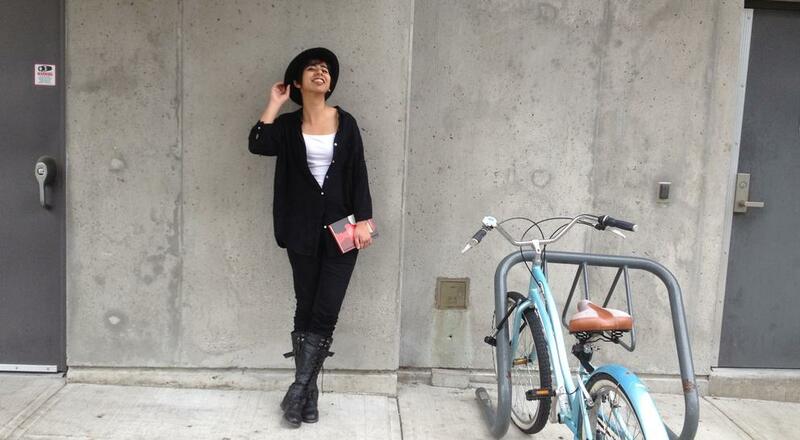 Besides writing, Arushi enjoys travelling, arguments, and long car rides. As a day job, Arushi works as a consultant. One day she’ll explain what that means. Y S Lee is the author of the award-winning Mary Quinn mysteries (also called The Agency quartet in North America). She's presently writing a novel set in Southeast Asia during the Second World War.